Chalo India Restaurant and Takeaway is in the heart of beautiful Bourton-on-the-Water in the Cotswolds. Our fantastic menu has a wide range of traditional curries, delicious side dishes and exciting Chef's specials to tantalise every palate. 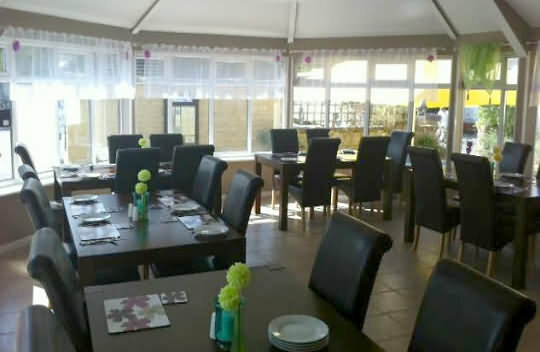 With a friendly atmosphere and fabulous food, Chalo India in Bourton-on-the-Water is the place to be for a wonderful evening out, some great dishes for a night in, or a wonderful deal from our lunchtime or set menu. Come and experience delicious Indian cuisine at Chalo India in Bourton-on-the-Water, with our friendly staff and family atmosphere, we can guarantee you'll have a great time - with even greater food! Get a delicious takeaway from Chalo India - with a 10% discount on all takeaway orders over £10, you can have a delicious Indian feast in the comfort of your own home!